Leumi Group, established in 1902, is one of Israel's leading banking corporations, commanding an approximate 30% domestic market share. Leumi operates branches throughout Israel, in addition to a presence in key financial centers across the globe, including London, New York, Palo Alto and Shanghai. Leumi is leading the way for innovation in Israeli Banking. Today, ‘Leumi Digital’ spearheads the digital banking field in Israel, with a wide range of innovative online banking services based on cutting-edge technologies. 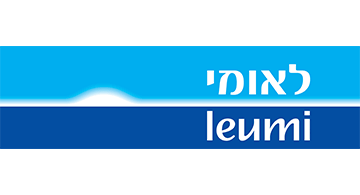 Leumi was the first financial organization in Israel, and one of few in the world, to implement cloud computing technology, in addition to establishing a designated Digital Banking Division and appointing a Chief Digital Officer (CDO). Leumi is the first Israeli bank to launch a standalone fully-mobile bank – 'Pepper'.